Founded in 2015, Book Your Lifestyle set out to improve the lives of consumers, salons & spas alike with a more streamlined and efficient process of booking appointments. The Book Your Lifestyle website, mobile and App have since produced “many thousands” of happy customers for its 500-strong partner business’. Now, Book Your Lifestyle is set to launch its latest product which claims to deliver “bigger & better marketing opportunity for all 50,000 salons & spas in the UK”. The vision of its founders, David Smith & Chris Houry of prior HostelBookers fame, remain clear, and one where every salon & spa in the UK has improved opportunity to market its business and grow revenue yields, similar to that of other tech-enabled industries such as travel, restaurants and takeaway. However, having listened to its partners over the years, Book Your Lifestyle recognise a need for change. With its new pricing model, Book Your Lifestyle has taken the unprecedented step to cut booking fees entirely, offering 0% commission on all appointments made, and charging just a modest monthly fee. Then, on top of this, a super new product has been added, bringing greater value than ever and positioning Book Your Lifestyle as the UK’s leading end-end loyalty & marketing platform for salons & spas. 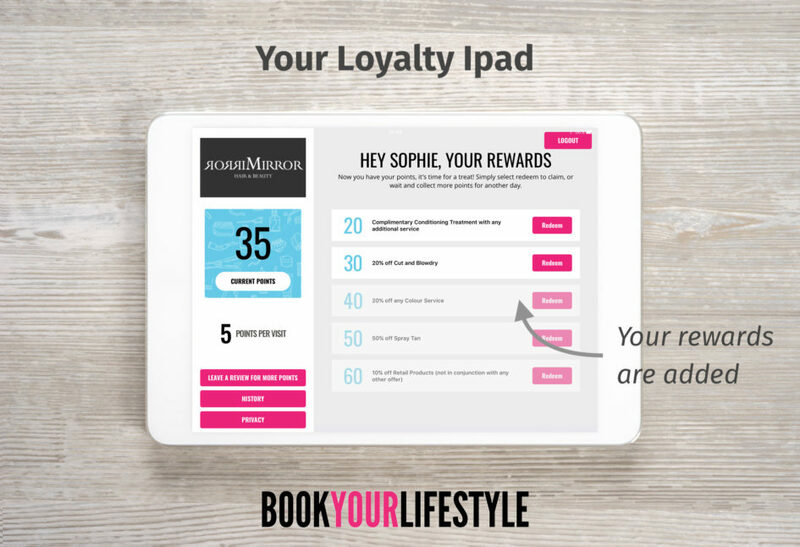 In perfect response, Book Your Lifestyle will launch their latest ‘Loyalty IPad’ in December 2017. Billed as a “must have” App for salons & spas in 2018, this uber-cool solution increases engagement “in store” and “in between appointments” to ensure customers return more often. All partners are supplied with an IPad that sits proudly on the business reception desk. Customers simply “scan” to check in at each appointment to grow loyalty points which they redeem in store for rewards. It’s a great looking product and customers love using it, providing a truly engaging way to interact and a far more effective system that outdated loyalty ‘stamp cards’. 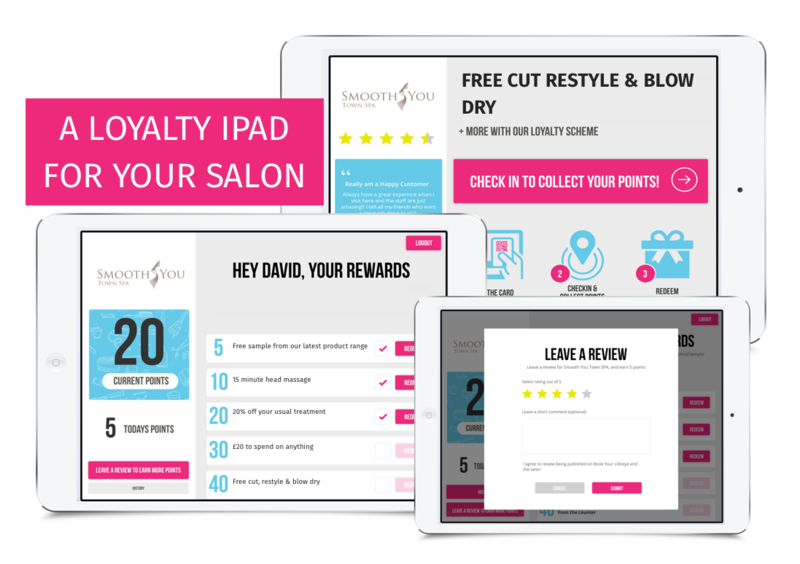 The App offers an ‘on-trend’ way for salons to manage loyalty & rewards, track customer usage, collect reviews and build a client marketing database. And that’s where the magic happens. From the client data collected, the team at Book Your Lifestyle help each business create & send marketing communication “in between appointments”, ensuring that the brand stays top of mind for the consumer, increasing the number of happy, repeating customers. This new loyalty & marketing product combines perfectly its existing marketplace for online bookings, meaning Book Your Lifestyle offer a truly unique proposition for salons & spas, helping to look after existing customers as well as finding new. No other business offers such a service. Find out more.